Offering you a complete choice of products which include endopyelotomy stent disposables. 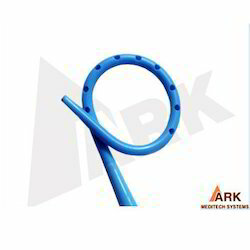 Used for the purpose of removing kidney obstruction, the offered Endopyelotomy Stent Disposables are one of the first preferences in the market. Manufactured in accordance with the set industrial norms, the offered product is one of the finest that is available in the market. Provided at a reasonable price, it has a high demand in the market. Looking for Endopyelotomy Stent Disposables ?